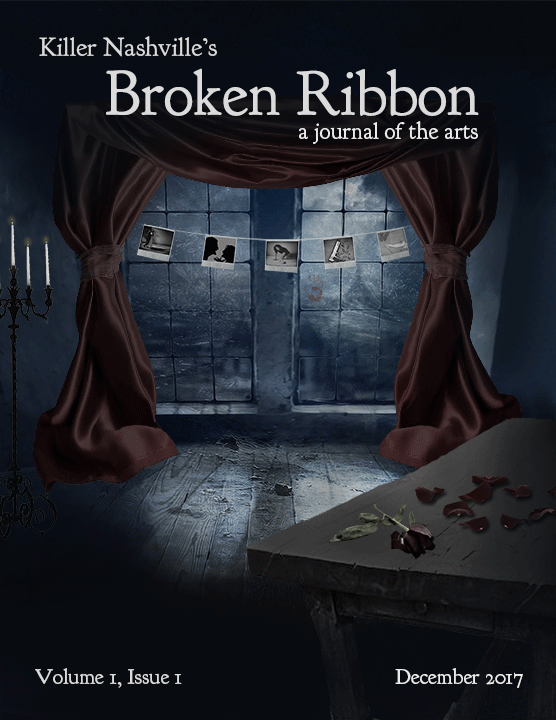 Broken Ribbon is an annual print literary journal for new and emerging literary and genre-themed voices and visual artists. Poems, short stories, and artwork can be any form, genre, or literary or art style. We seek short stories and poems that are raw, honest, gritty, from any world, any planet, any time period, any reality, or any dimension. We look for artwork that makes us pause. If it produces an emotion in us after we read it or see it, or you change our opinion on a hardline issue, you’re probably on the right track. We want real stories, real poems, real artwork about real people. Announcing Broken Ribbon‘s 2017 Fiction Contest Judge — New York Times Bestselling Author, Lisa Jackson. Congratulations to Broken Ribbon‘s Featured Artist, Jacenta Holtsclaw. More artists and writers coming soon–maybe even you! Broken Ribbon is an annual print literary journal published by Killer Nashville Press, a subsidiary of American Blackguard Books.